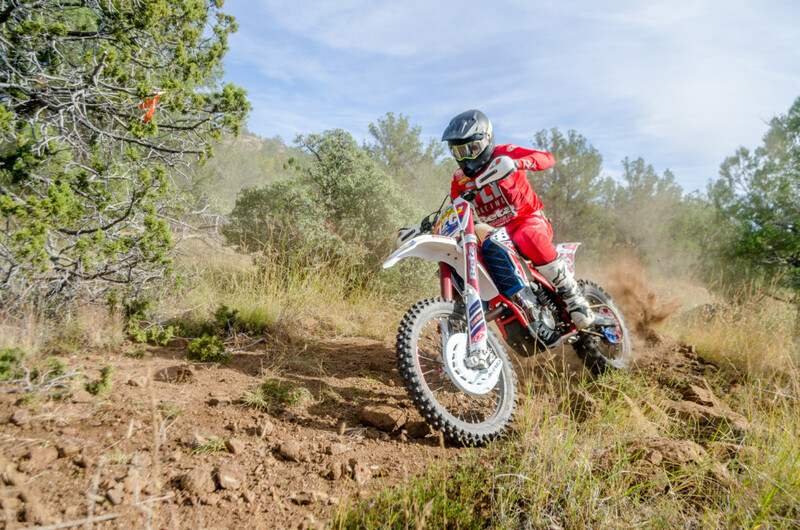 Williamson Valley, AZ (September 30, 2018) – The opening round of Arizona Motorcycle Racing Association’s 2019 season sponsored by Motocity Anthem and hosted by Arizona Trail Riders kicked off west of Williamson Valley, Arizona at Yolo Ranch. 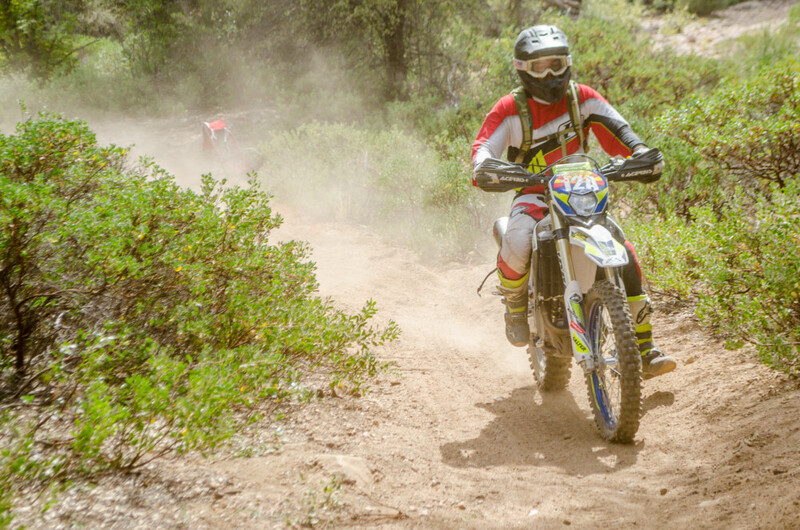 The Sprint Enduro format brought the top riders in Arizona to compete for the overall win across four tests. With the remnants of Hurricane Rosa looming, the cool and cloudy weather left perfect riding conditions for a grueling course. Factory Beta/Kenda/FMF riders Mason Ottersberg and Joe Wasson were among those competing in the AA (Pro) class, alongside Nick Brawner riding on a rarely sighted Sherco and Ryan Wells, representing his Az Dirtbike Training company as well as Klim Gear and Realty Providers. Starting 12th off the line, Wasson was able to ride through all four tests relatively smooth and finish on the top spot of the podium. 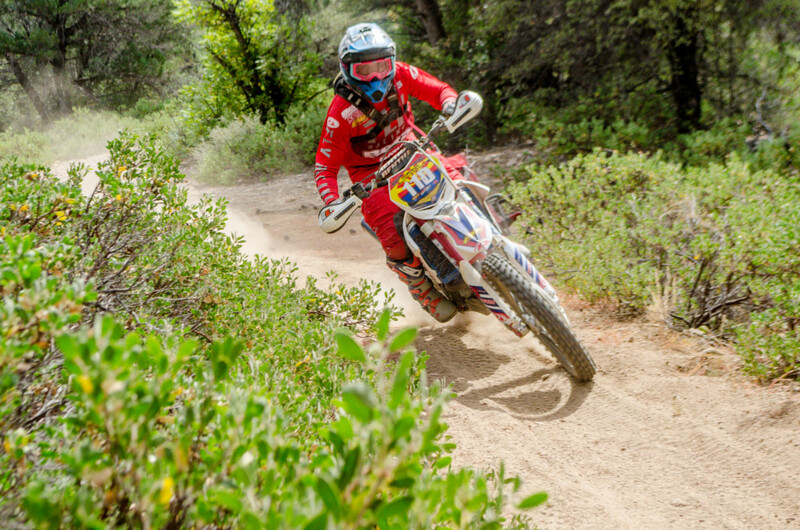 His teammate Ottersberg had another solid ride on his Beta 430RR, coming back from a small detour after hitting a tricky rock section and regaining his pace. After four hard tests, Ottersberg would take second place. Nick Brawner took his Sherco to the podium with a solid third place finish. The top 10 would round out with Ryan Wells (KTM), Clayton Hengeveld (KAW), Ryan Kudla (KTM), Zack Brawner (KTM), Kyle Hutcheson (HUSQ),Brent Larsen (KTM) and Skylar Thornton (KTM). Next round will be in Globe, Arizona for the Prison Break Hare Scramble hosted by Rock Stars MC.